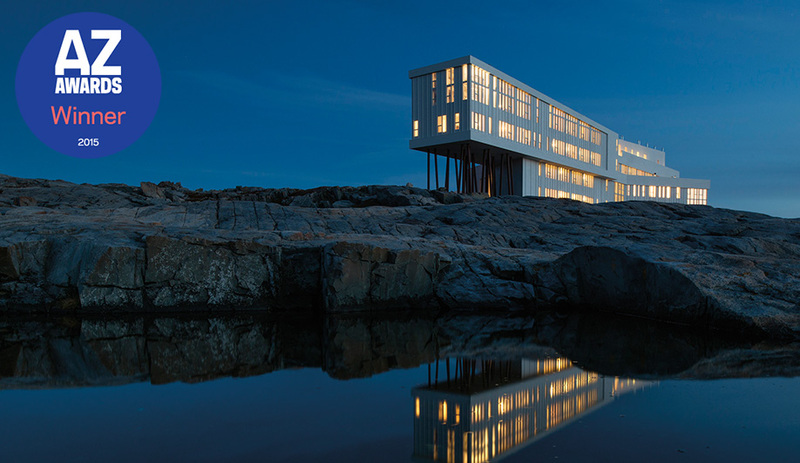 The Fogo Island Inn, designed by Todd Saunders, has brought about a renaissance in a former fishing community, and anchored a new era of cultural tourism. 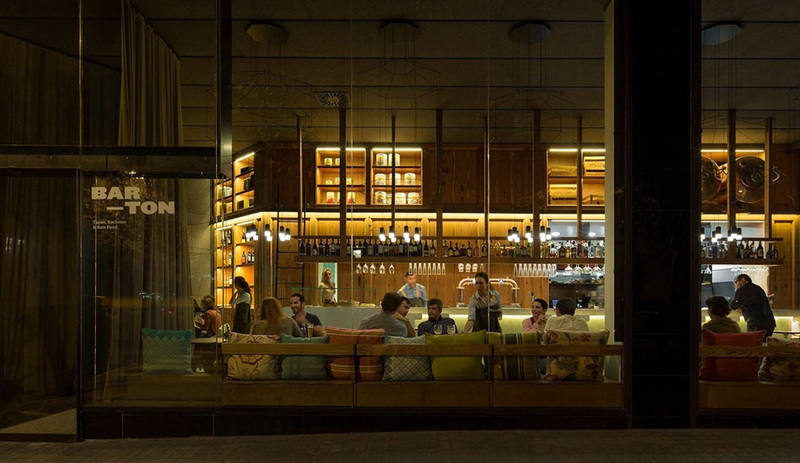 It’s one of two winners of the inaugural AZ Social Good Award. 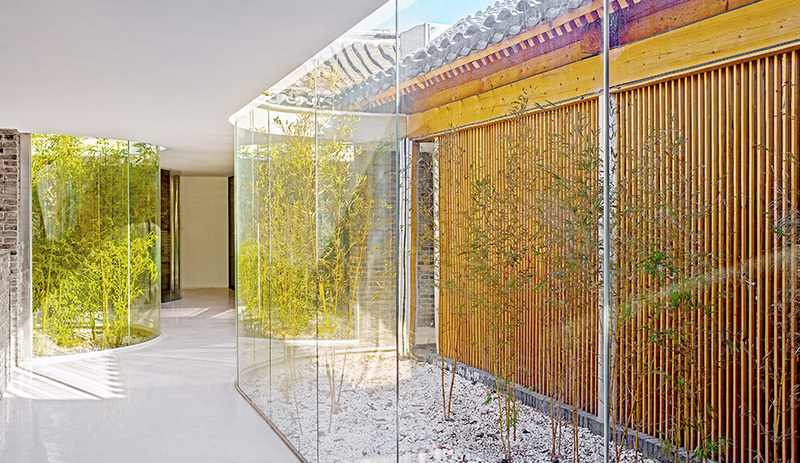 Local firm Arch Studio composes a modern tea house and restaurant in a Beijing hutong using a series of modernist light-wells to frame centuries-old houses. 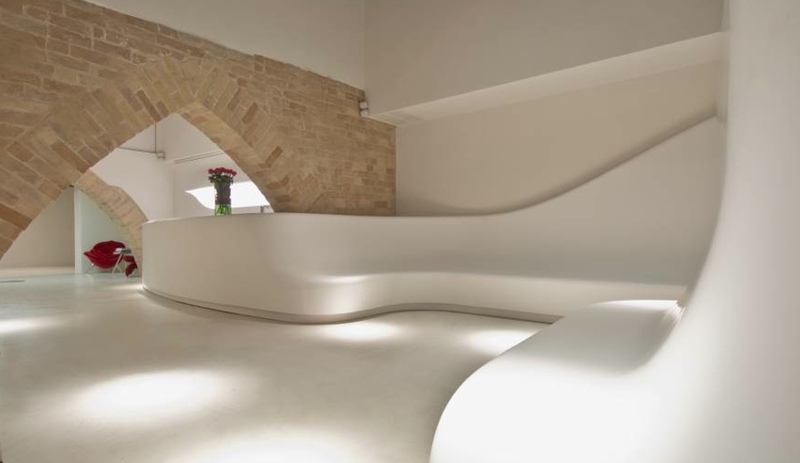 Designer Yasmine Mahmoudieh converts the interior of Palazzo Spina in Rimini, Italy, into a seductive spa and art gallery brought to new life with Hi-Macs acrylic stone. 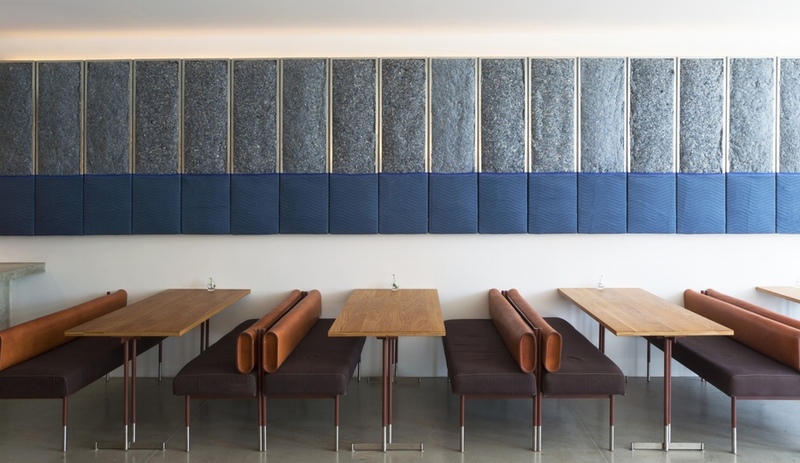 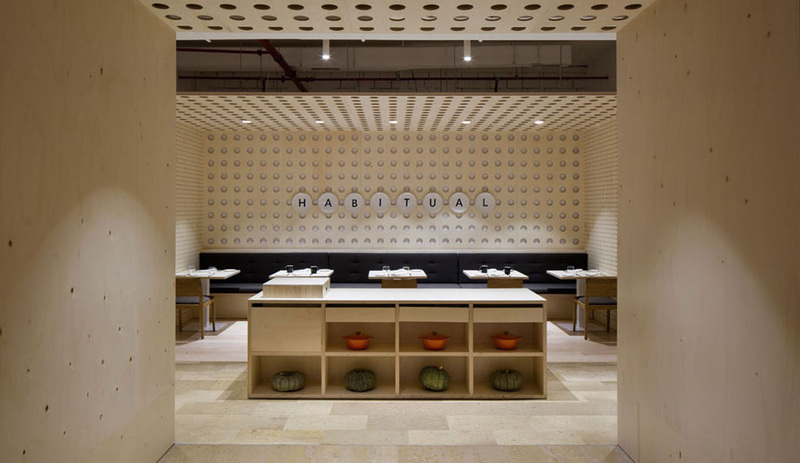 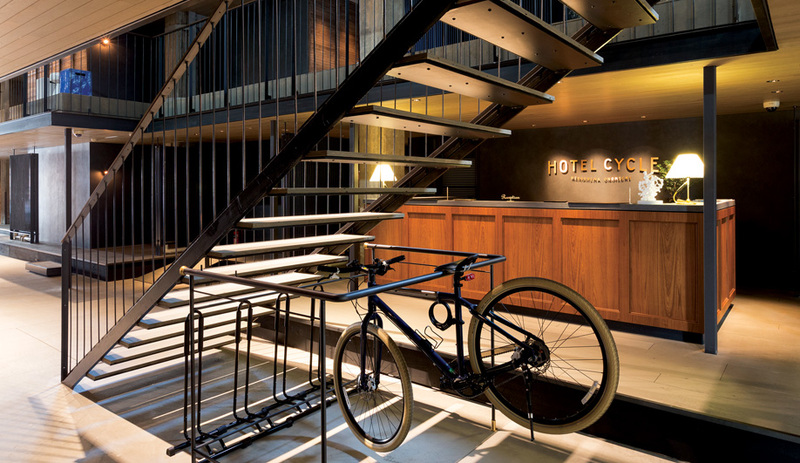 Scott & Scott Architects emphasize utility in a raw yet sleek interior for Torafuku, run by chefs Clement Chan and Steve Kuan of the popular Le Tigre food truck. 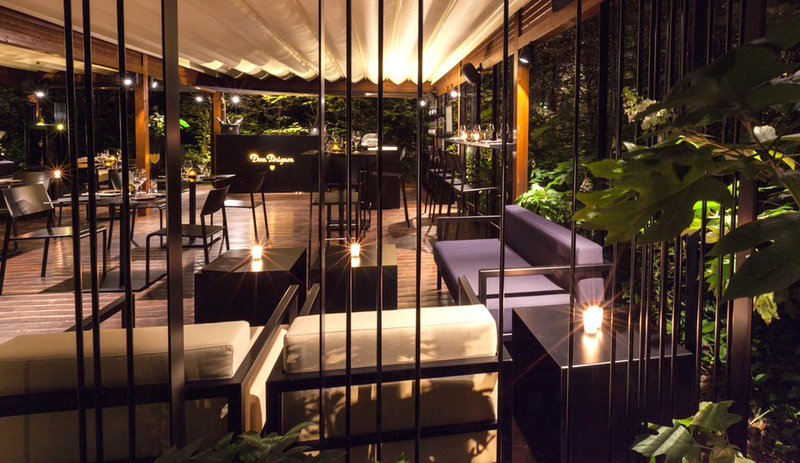 For a discreet corner of the Bulgari Hotel Milano’s private garden, Cassina Contract, working with local firm Fase Modus Architettura, has crafted a casual-chic lounge that oozes sophistication. 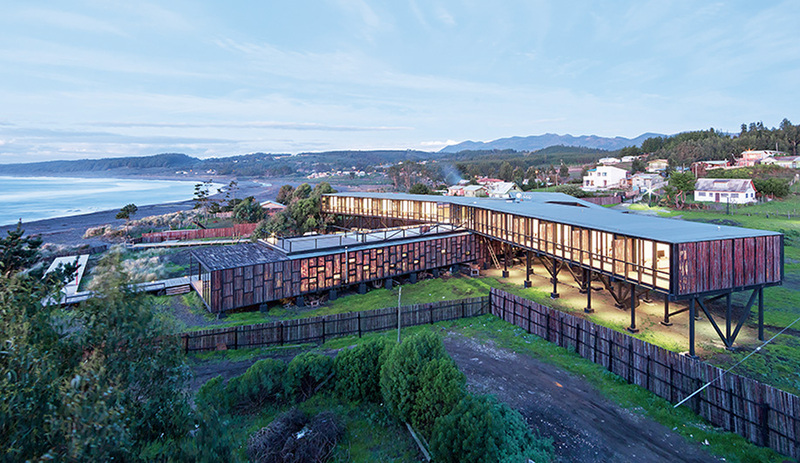 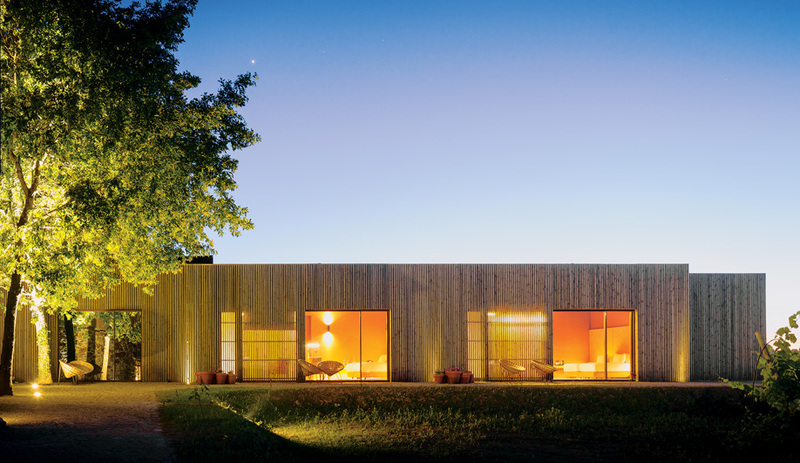 A rustic modern retreat by WMR Arqui­tectos is drawing wind seekers of all stripes to the Maule region.